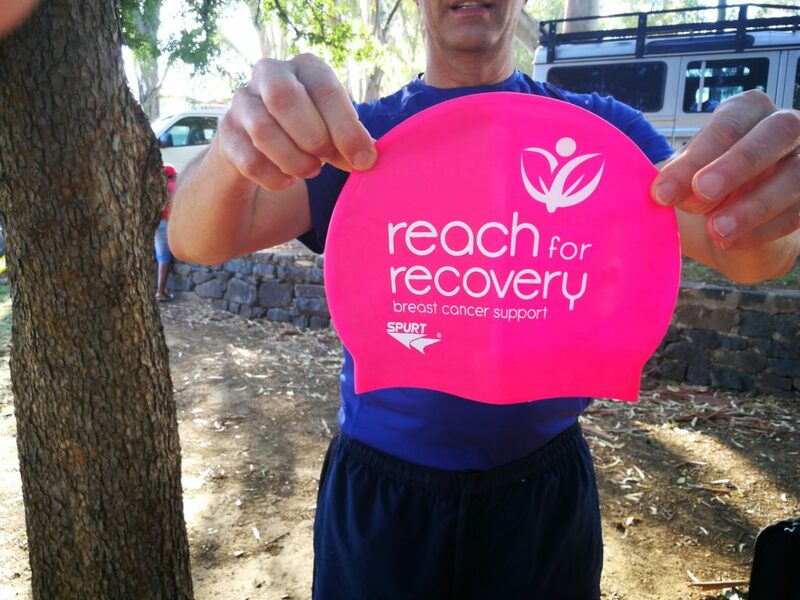 “My hope for REACH FOR RECOVERY is that when a new patient is diagnosed with breast cancer, she would already have known about R4R and it would be her first port of call,” says Dr Ilse de Wit, Chairperson of Bloemfontein Reach for Recovery. “The more visible we are, the more people will notice us and know us. Sport events are a great platform to reach many people at the same time”. On 21 JANUARY 2018 Reach for Recovery took their first step in that direction in Bloemfontein. 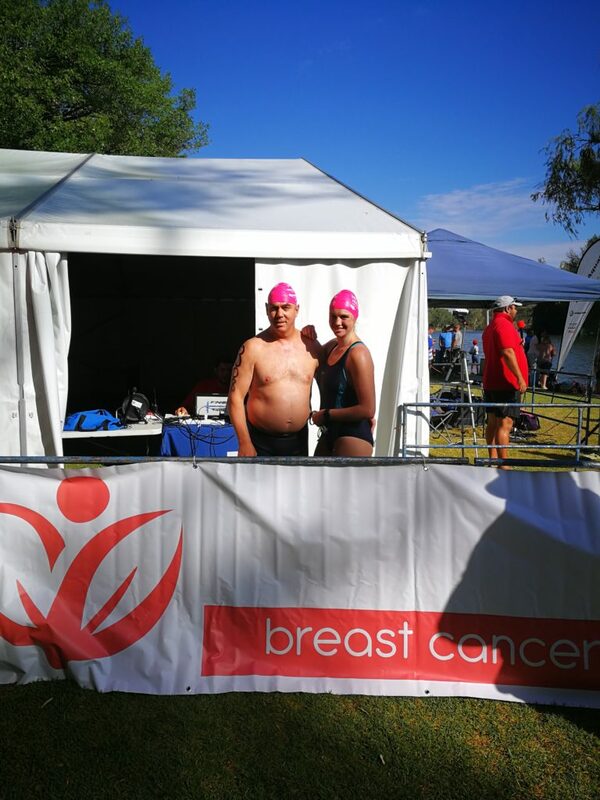 Kovsie aquatics swimming club hosted a MIDMAR mile qualifying open water event and every swimmer that entered was given a pink branded REACH FOR RECOVERY swimming cap. With the help of generous sponsorship we were able to make this possible. 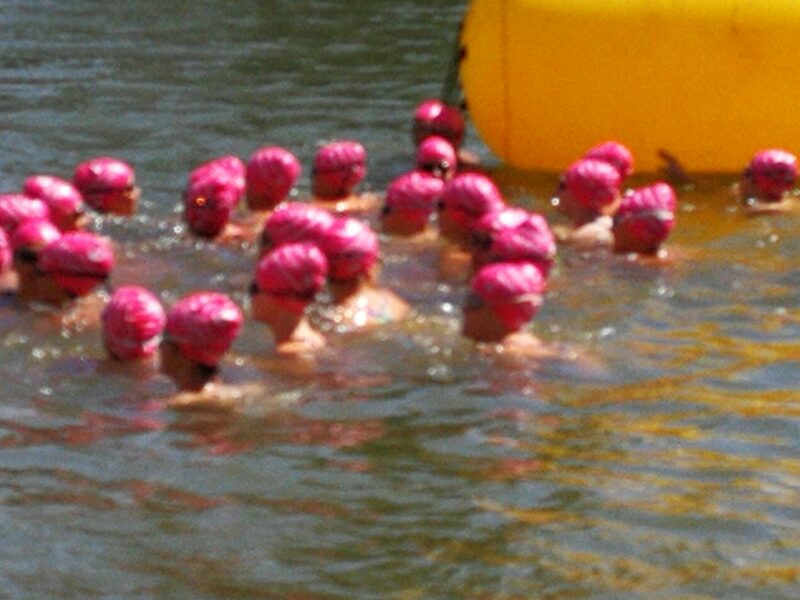 The river at Maselspoort was a sea of pink, it was beautiful to see. 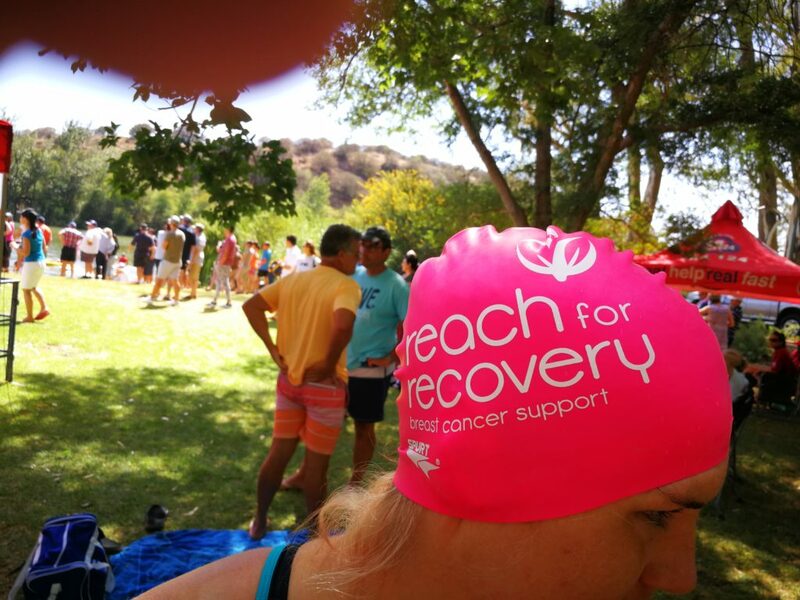 Four volunteers dressed in the lovely pink Reach for Recovery shirts, (thank you Durban and Jenny), handed out water and medals to the finishers. We were referred to as the pink ladies. There was also an opportunity to say something about our great organization. 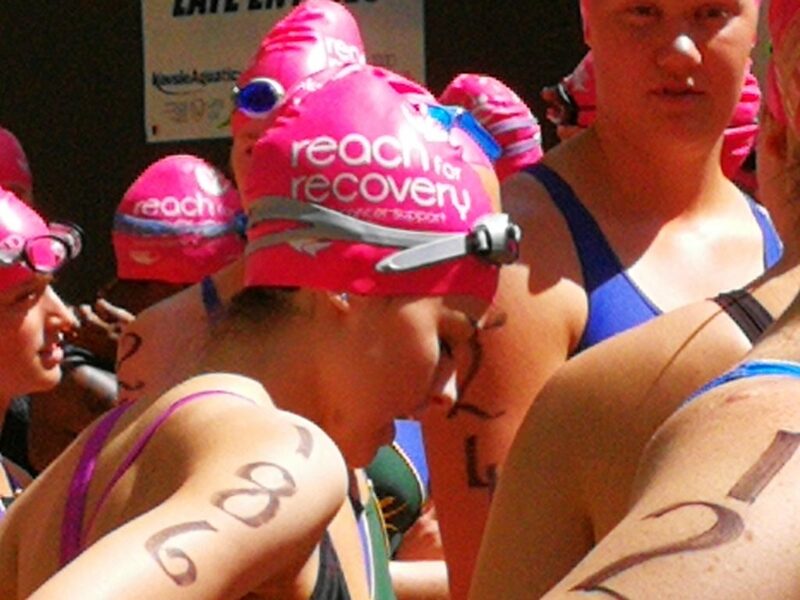 What is so nice about the swimming caps is that R4R will still be visible as the caps will be worn by swimmers at different places. 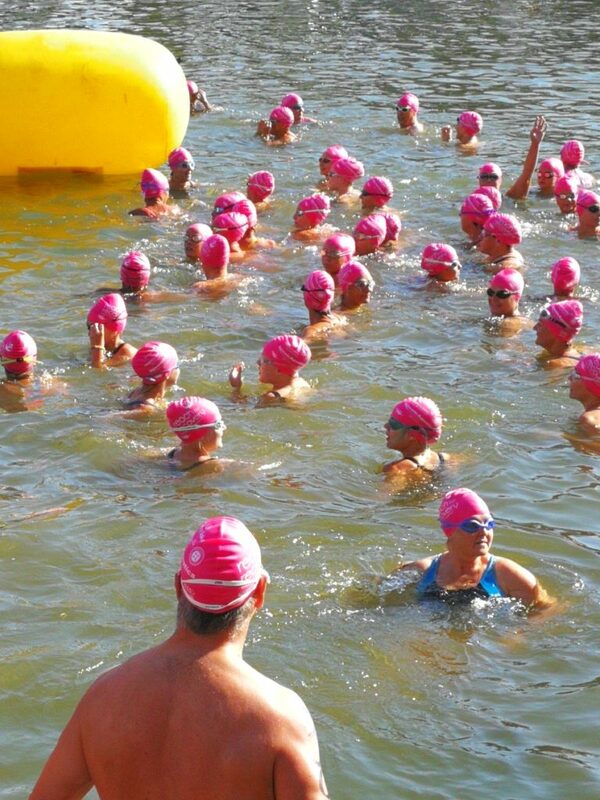 We hope to have this as an annual partnership with Kovsie Aquatics. 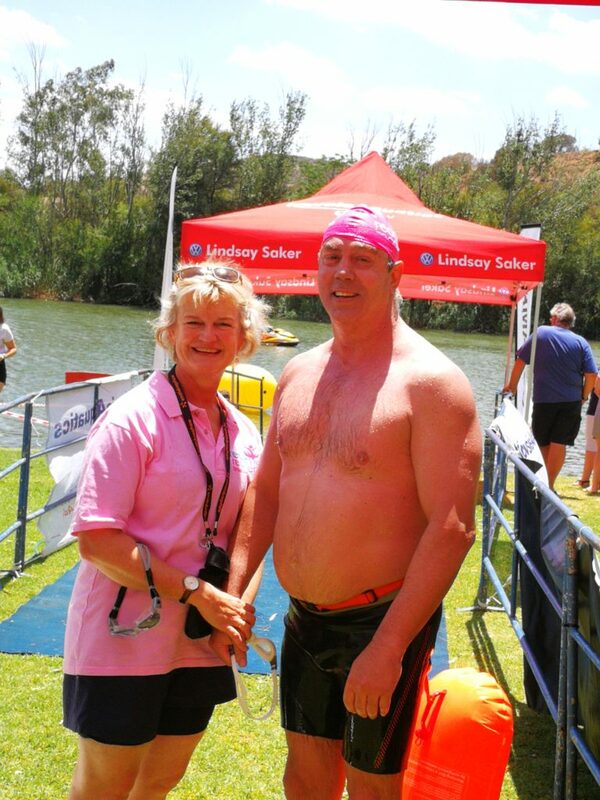 For more pictures of the event, please visit Kovsies Aquatics Facebook page.